Don’t leave your property’s gas safety inspection to the last minute! Schedule your landlord gas safety check online for a day and time that fits your timetable. 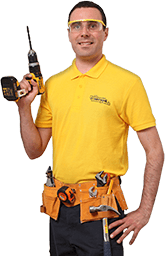 A local gas safe registered engineer will perform a full and thorough inspection of your gas appliances. You will be provided with a gas safety certificate for the service. Get the peace of mind that all appliances function correctly and your tenants are safe. Why do you need a gas safety certificate? Homeowners who rent out their property are legally responsible for ensuring the safety of their tenants with regards to the correct installation of gas plumbing infrastructure and the proper function of gas appliances. The Gas Safety Regulations explain in detail the level of liability of homeowners, landlords and estate agencies in relation to performing an annual gas safety check and obtaining periodically a gas safety certificate. The latter is valid for twelve months and can be issued only by Gas Safe Registered Engineers. Important: Failure to maintain gas use standards is a grave offence. Renting a property without completing a gas safety check carries a penalty of up to a £6000 fine and/or up to six months imprisonment. Each gas appliance will be tested for tightness. The standing and working pressure will be tested at all available test points. The technician will also check the burner pressure and the gas rates against the manufacturer’s data plate. All ventilation routes will be checked to ensure their proper function. The engineer will test the flue flow to confirm that harmful gases are removed safely. All flame failure and other safety devices will be carefully checked. The gas safe registered engineer will also ascertain the presence and effectiveness of the stability brackets. If defects, faulty devices and unsafe operations of your gas plumbing infrastructure are detected, the specialist will note them down and will include appropriate recommendations for repairs in their report. Important: Flues in voids (in older flats and apartments) need be installed with inspection hatches. Otherwise, by Law, your gas boiler will be classified as “At risk” and will be turned off by the engineer until the flues are made accessible for checks. What are my responsibilities with regards to gas safety if I own a property for rent? It is your duty to maintain the proper operation of the gas plumbing infrastructure on the premises, including ventilation, pipework, flues, safety devices and appliances. You are also responsible for obtaining a gas safety certificate annually after an inspection has been performed by a Gas Safe Registered engineer. Newly fitted gas plumbing work and appliances also need be checked for their safety within 12 months of the installation. Is it possible to transfer these responsibilities to my tenant? No. However, for non-residential properties, a landlord and a tenant can sign an agreement that stipulates the latter’s duty to maintain the gas safety of a flue or appliance. What are the tenant’s rights and responsibilities in relation to the gas plumbing infrastructure of the property? The tenant has the right to obtain a copy of the gas safety record for the property. Records must be kept for at least two years. A new record should be submitted to the tenant within 28 days of the gas safety check being completed. Why do I need to employ a Gas Safe registered engineer to complete gas maintenance tasks? The Gas Safety Regulations in the UK set out certain conditions and requirements for homeowners, with regards to gas safety checks, gas work installation and use, as well as gas safety certificates. These are legal and valid (including for insurance purposes) only if a certified and gas safe registered technician has been hired to complete the gas maintenance and inspection work. What should I do if I believe that there is a problem with a gas appliance at home? If you suspect a gas leak or a faulty appliance, turn the equipment off, shut off the gas supply at the meter control valve, open the window and call immediately the National Grid's Gas Emergency Freephone number: 0800 111 999. 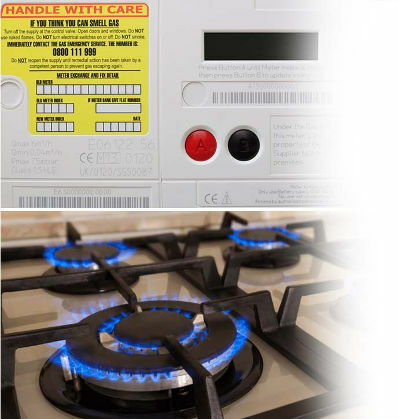 It is illegal to use unsafe gas appliances until they have been inspected by a gas safe registered engineer.